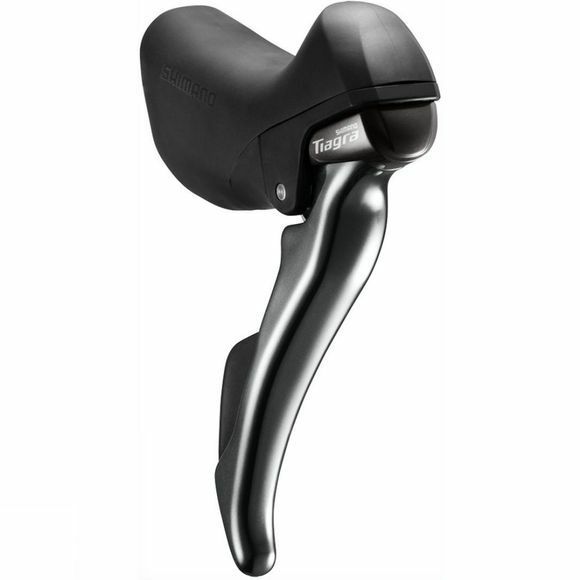 The Shimano ST-4700 Tiagra 10-speed road STI levers have an easy operation designed lever and a compact lever bracket hood which is made from soft rubber and anatomically shaped to allow easy braking and shifting regardless of hand position. Arced travel on the shift lever always keeps the lever in reach when sweeping shifts across the cassette. Adjustable reach main lever via a shim system and light-action release lever assure easy gear shifting and braking.